Want a brick breaking experience with a difference? You’ll want to check out Doughlings:Arcade! Available right now on Xbox One, Doughlings is the latest brick breaking title to try its luck on the game scene. This time round though we see the usual bricks and bat removed, to be replaced with a strange alien species – the Doughlings. Playing as Morpheus, it is up to you to battle your way through no less than 75 levels of evil Doughling-fuelled gameplay, batting a ball up against them numerous times in order to ‘heal’ them of all things bad and return the usual happy Doughlings to their place in the sun. With DNA strands available to morph Morpheus into super powerful beings, letting him utilise a smash attack, go all Robo on us with a laser attack or become a bit of a webslinger, Doughlings certainly isn’t short of new ideas, or content. In fact, it is the well created levels and the push for wondering exactly what the next stage will bring that will see you becoming rather addicted to this clever little brick breaker. A full level editor is also in place and this will let you go wild with your imagination, creating your own unique stage and then publishing it for the world to enjoy. Our full review of Doughlings: Arcade will be with you very soon, but should you wish to take a little shot on a title that costs £5.79, then the Xbox Store will happily sort you out with a download. 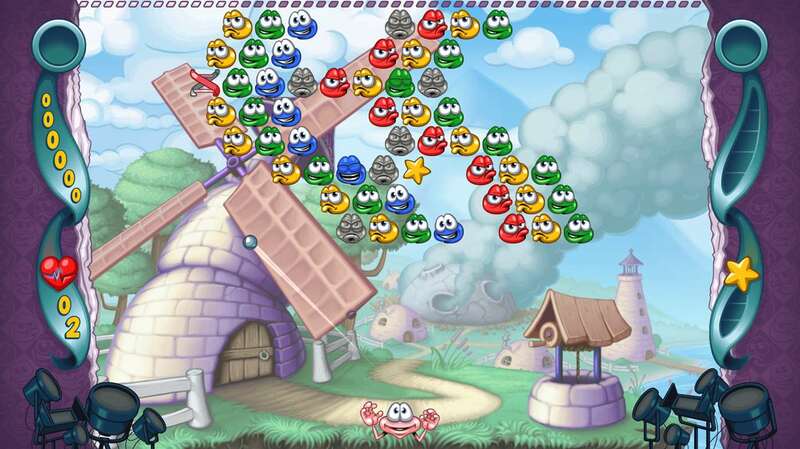 Doughlings brings unique gameplay mechanics through its interesting characters and the world while combining together the best that all known brick breaker games have to offer, polished with a modern look and design. An Old Friend with a New Look Nothing is better than a familiar face. In Doughlings, you will feel right at home with classic gameplay mechanics, power-ups, and challenging levels. Don’t let Morpheus lose his ball and try to clear the screen with everything you got! Rewrite Your DNA Find the hidden DNAs and morph into 6 different personas in each level. Unlock them all and collect elixirs to activate new and even more powerful abilities. It’s Showtime Baby! Forget the traditional brick breaker power-ups. Doughlings presents ‘Show-Off’s–super abilities that you can unleash to change the course of every level. With each character, a unique ‘Show Off’ ability will be yours. Use them wisely. Stay Strong, Stay Alive Complete the harder levels to face new enemies that present game changing challenges. Killers, psychos, ghosts, you name it! Nobody said it was going to be easy so get ready! Create, Test and Share You think you can create the most bad*** level? Go and create your own levels with all the targets and characters available in Doughlings. Share them with the world and play other levels created by players from around the globe!